I’ve known Gerald Weber for like… forever. He has always amazed me with his enthusiasm and loyalty. So when he invited me to co-found his new project, I knew he was the right person to go with. Viral Content Buzz is the free social media promotion platform that lets you get the word out for your own articles by sharing other people’s content. In short, you earn credits for sharing other people’s stories and you can then spend those credits on your own projects: free publicity coupled with high-quality approach is our selling point. Only established, “real” social media accounts can share your story. We award more credits to more powerful accounts. For example, if a Twitter user with ~500 followers shares your story, you are charged 1 credit (and that user also earns 1 credit). However if a user with 5000+ followers shares the same story, you are charged 5 credits. 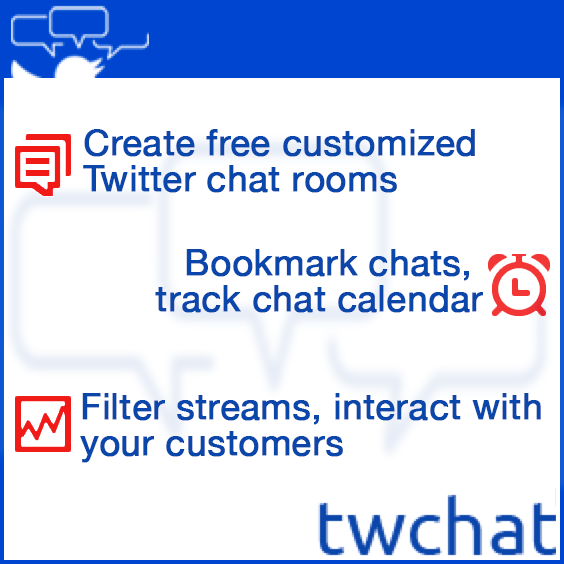 This is sure to attract members of the platform to connect their most powerful Twitter accounts. We target your dashboard to your interests. We want you to only see stories which are relevant (and interesting) to your social media followers! 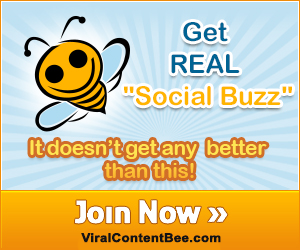 Viral Content Buzz is the free social media promotion site that lets you get help promoting your content by sharing other users’ great articles. Simply register at the site by providing your username, email, password and Name. Don’t forget to read our terms of service! Now, activate your email address by clicking a link in the email message and login. The first step is to enable your social media accounts. You’ll be using them to share other users’ stuff. 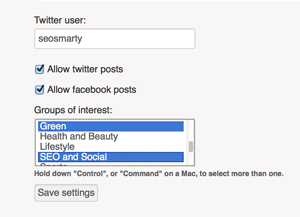 Simply go to Settings -> Social accounts, click enable next to Twitter and authenticate our site. We are using official Twitter and Facebook authentication. Now, in the settings menu, select your favorite topics to better target your dashboard. We only want you to share the stories if you love them! You are now ready to start sharing other people’s stories. Simply click “Twitter” and “Facebook” to share your stories on your social accounts. Each time you share another user’s story, you get credits. You can then spend those credits on your own projects to get more tweets and likes from other members of our platform. To add your own project, please click “Add project” and provide your story details: URL, title, short description and most relevant categories. Your project budget is how much you are going to spend on it in total. You can select which social networks you want your story to be shared on. You can also check “Retweet me” option that will include your Twitter username in each Tweet for you to get more mentions and monitor your story being shared. Click “Submit” and your story will be sent to moderators for review. Once your project is reviewed, it will be available for other members of the community to share. Start generating social media buzz now! More social media sites to support: We are adding Pinterest, Google Plus and StumbleUpon. Update: We added Pinterest! Done: More flexible interface: Most testers loved our Pinterest-style box-based layout of available projects. However some testers thought a raw Gmail-like table view would be more usable. Thus we’ll add a simple table view of available projects to share. You’ll be able to quickly switch between the two layout options. Update: We now allow to switch between grid- and table-like interface! Browser bookmarklet! You’ll be able to add projects with one click of a mouse! Scheduling or spacing out of updates for them not to get published within one minute or less. 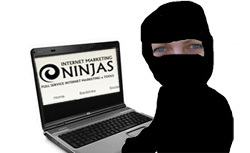 A best approach to go with viral traffic. However, we have seen some similar site but they all charged with the same credits no matter how many followers or fans you have. However, charge should be depend upon the quality of your social media profiles that is why I like your strategy. As a big proponent of MBG, I signed up for Viral Content Buzz earlier today – awesome idea, Ann! I love that your platforms always promote QUALITY, white-hat content promotion. One little thing I noticed: there’s no category for cars/vehicles/transportation – might be a popular one to add? In any case, I can’t wait to start using VCB! Ann, I noticed this morning that the Cars category had been added! It’s now populated with a couple of my Projects 🙂 – thank you so much! Awesome stuff! Awesome Platform for social media sharing… just joined! Ann very excited to try out this platform. I currently use another free platform. I hope to do some split testing and will be happy to provide you with some feedback. Hi Ann, I appreciate your hard. To say the truth, you are my new inspiration. I will join in with any project Ms. Ann Smarty is supporting. I just registered and shared one post to test out the system. Very interesting! I intend to be supportive and be supported. Thanks — and much respect to you — for always putting bloggers first in your projects. Oh you are making my day! Thanks for the kind words and awesome support!